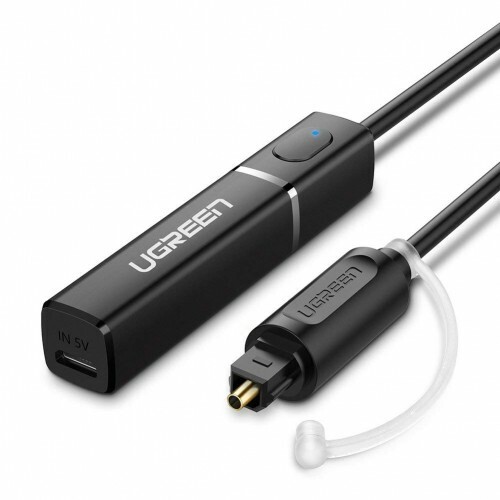 UGreen Bluetooth 4.2 Receiver (with wide compatibility) Audio Adapter easily adds Bluetooth function to your TV/PC, creates wireless connection and transmit audio between your PC/TV and Bluetooth speakers/headsets/amp. Enjoy wireless music freely in perfectly synced high-fidelity auditory feast. The internal DSP can automatically coordinate audio transmission to provide more stable audio signal transmission. Ideal for using in exercising, watching late night TV shows but not disturbing others.Plug and play, no driver is needed. Easy to pair and auto-reconnects to the last 2 paired devices. Note: It supports stereo sound, NOT support Dolby and DTS Surround sound. 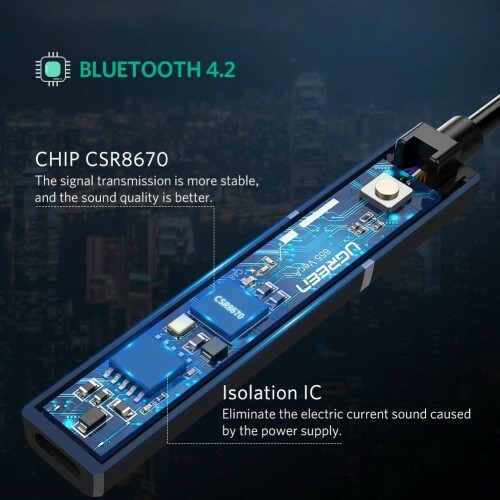 The sampling rate should be less than 48K/16BIT.Enjoy Impeccable HiFi Audio: Compared with 4.1 Bluetooth transmitter, the Bluetooth 4.2 aux adapter features aptX low latency technology and AAC / SBC codes, freely to immerse yourself in clear HiFi audio sound without sync delay. 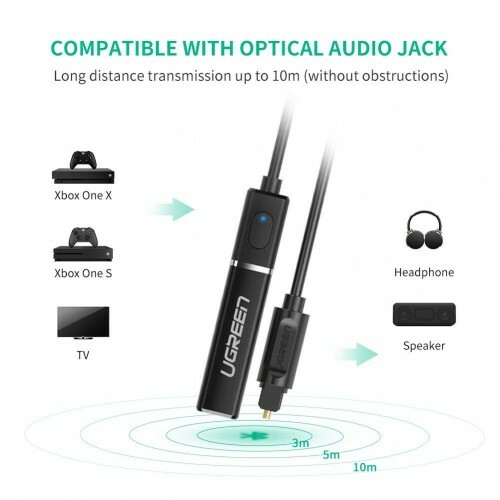 The transmission distance of one headset can reach up to 33ft/10m and distance between two headsets up to 16ft/5m in unobstructed effective range. Please kindly make sure there is No barrier between the transmitter and device or 2.4G device stays too close to interface.Please make sure your TV/PC with Optical port before purchase.There is NO built-in battery, 5V power supply is required.USAGE Step: First, connect the transmitter to TV/PC optical port and charge it by the micro usb cable;Then, turn on your bluetooth headphone/speaker and place it near the transmitter;Third, pair your bluetooth device with the transmitter. Our transmitter support support APTX LL, less than 50mS. Audio Lag is related with both the bluetooth devices and transmitter.